Explore famous French landmarks in 3 different regions throughout this 4 day expedition. We have hand crafted this itinerary to show you the must-see attractions like the Landing Beaches of Normandy, Mont Saint Michel, Saint Malo, and 6 different castles throughout the Loire River Valley. With both guided tours from our experienced and multilingual guides, plus free time to explore each of these destinations on your own, this inclusive package allows you to only worry about one thing: experiencing Northern France! Departing from Central Paris, our first destination is Normandy. Visit Rouen, the capital of the the region and home of the famous UNESCO Notre Dame Cathedral. You can enjoy a walking tour of the city before heading to the Landing Beaches of Normandy. After stepping foot and walking along these monumental beaches you will head to your hotel where dinner will be provided. Travel to the fortified city of Saint Malo where you will enjoy a guided tour of this historic city before having some free time for lunch and your own exploration. 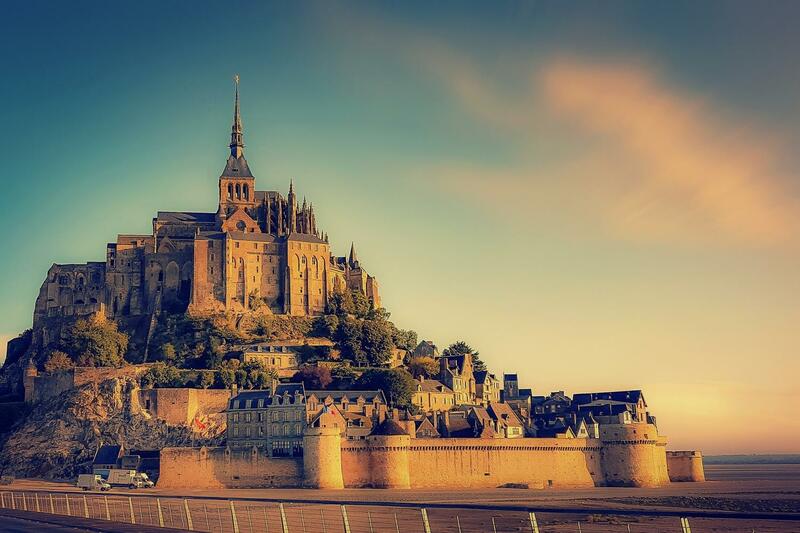 Then you will head to the town of Breton for a visit to the incredible Mont Saint Michel, perched on its rocky peak and accessible by drawbridge. Wander through the bustling streets and discover incredible views of this Gothic island to create your own memories of the breathtaking bay and architecture before heading to your hotel for dinner. This will be your first day of exploring the Loire River Valley. A guided tour of the Langeais fortress depicts the medieval history perfectly and will be followed a tour of Amboise, which boasts the tomb of Leonardo da Vinci and is a UNESCO World Heritage Site. Villandry will be your final stop before heading to your hotel for dinner. The final day of your expedition with Gray Line will highlight the most beautiful and majestic castles of the Loire River Valley including Chambord, Chenonceau, and Cheverny. These Renaissance masterpieces will culminate and encompass the history of Northern France and leave you with lasting memories of the incredible French history. A farewell lunch will be provided before you depart back to Paris, arriving at the Gray Line/PARISCityVISION Agency approximately 7:00pm.